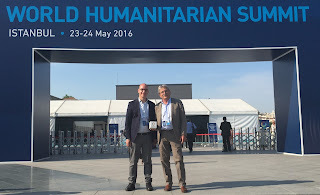 At the World Humanitarian Summit in Istanbul, 23-24 May, under the umbrella of DG ECHO, a promotion event for the Copernicus Emergency Management Service has been co-organised by Peter Zeil, formerly seconded to the Copernicus unit at DG GROW. 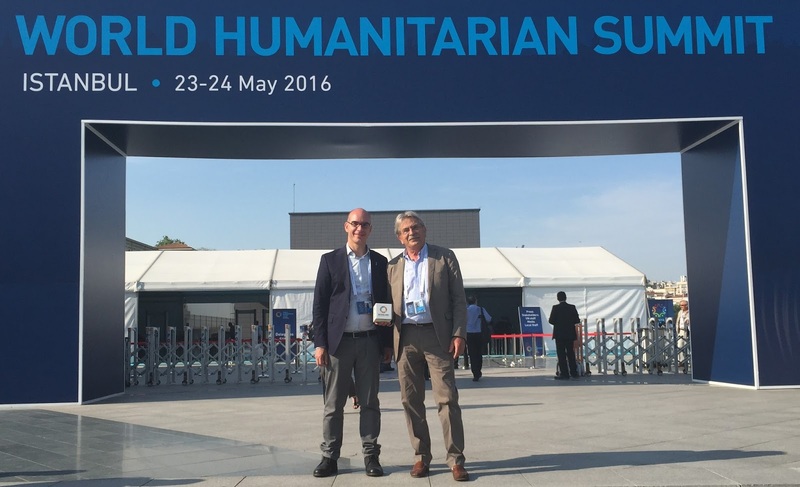 It was attended by Z_GIS representative Dr Stefan Lang, showcasing the successful service setup by Z_GIS for humanitarian operations. Participants from international NGOs, country representatives, EU and UN organisations, as well as civil protection agencies, joined the event and engaged in discussions on future EO-based humanitarian information services. Today Christian Neuwirth, a PhD candidate from the first group of our Doctoral College impressively defended his PhD Thesis “Evolution of Space in System Dynamics Simulations”. At the core of his PhD Thesis are four first authored ISI articles. Spatial System Dynamics = SSD models are typically implemented by linking stocks and flows to raster grids. The use of object representations of human artefacts like buildings or ownership up to now has been limited. In one of his articles, “Object view in Spatial System Dynamics. A grassland farming example”, Christian addresses this limitation. The model simulates structural change in agriculture, i.e. changes in size and composition of farms. The aim of the model is to reveal relations between structural change, farmland fragmentation and variable farmland quality. The example Christian shows in his paper demonstrates the capabilities of the object-based approach for integrating object geometries and relations between objects dynamically in SSD. After three years within the Doctoral College Christian in November 2014 accepted a position as scientific researcher at the Ludwig Maximilian University in Munich. He is still working in the field of System Dynamics with an emphasis on environmental systems science, development and optimization of spatio-temporal simulation methodology and participatory simulation. We wish Christian all the best for his future career and endeavours! The Department of Geoinformatics - Z_GIS is inviting all candidates interested in admission to the international 'Applied Geoinformatics' MSc to an informative afternoon at our Techno-Z location. We will introduce the current curriculum, classes and teachers, explore the experience of current students and alumni, check out career options, and of course offer plenty of time to discuss any open questions. The event will close with a social get-together with current Geoinformatics students. For details, please look at the > announcement flyer! 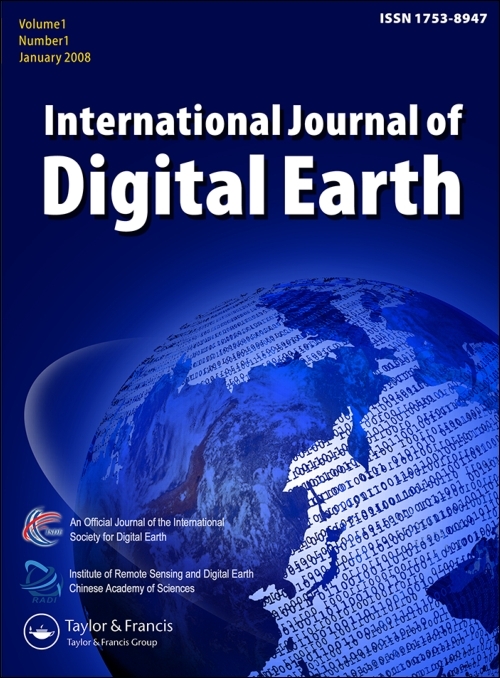 We are pleased to announce a call for papers for a special issue in the International Journal of Digital Earth (IJDE): Innovation in Geoprocessing for a Digital Earth. 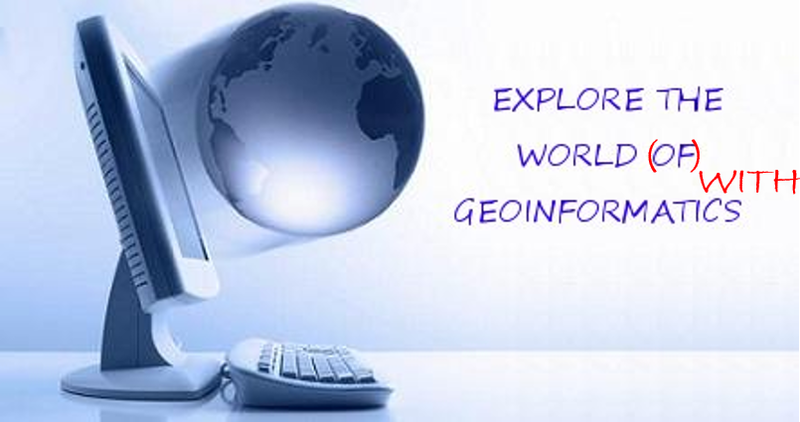 We solicit original, state‐of-the‐art research on real-life applications of online geoprocessing in the context of Digital Earth. Deadline for submissions is November 2, 2016. Please submit via the Journal’s Manuscript Central Site and indicate in the cover letter that your contribution is for the Special Issue on ‘Innovation in Geoprocessing for a Digital Earth’.